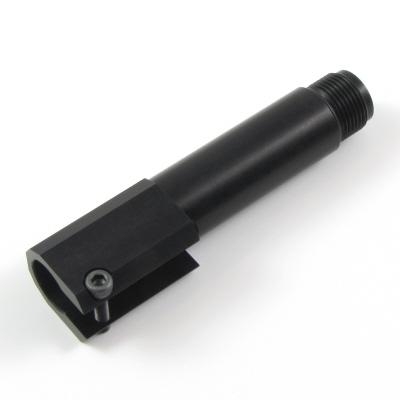 In addition to being a much neater way of adding a 14mm CCW thread to your Mk23 these barrels feature a larger through bore to allow longer inner barrels to be used without any modification and will accommodate most brands of inner barrels, 3 o-rings are also provided to stablise the inner barrel within the outer, only 1 needs to be used but all 3 can be stacked together. 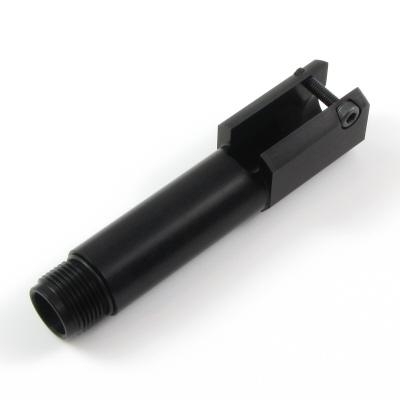 Please note that certain brands of inner barrel with a smaller outside diameter of 8.1mm or less such as KM Head barrels may not be well supported by the o-rings. 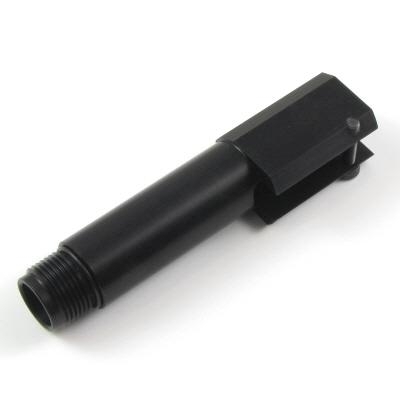 Each adapter is CNC machined from a solid bar of 6026 T9 aircraft grade aluminium with smooth machine cut threads and is anodised black. Use of a thread protector during storage or when another accessory isn't fitted is highly recconmended to protect the threads from damage, during long term storage a small amount of grease should be applied to the barrel thread.